Football Advertising Ideas: Fall is in the Air! And College & NFL Football has officially kicked off! So you just can’t get enough of Football, then its time for some Tailgating and team spirit advertising gifts! Tailgating is the ultimate match to football. It is such a fun and social event that usually takes place once every weekend before the big game! It’s such a great time to get your friends, co-workers and family together to have some fun in cheering for your favorite team! Who really loves to Tailgate? College students throw the ultimate tailgating parties around! So if you’re in college and are looking for the best tailgating gift ideas, just stop in here at The Executive Advertising website and look at our advertising football promo section for your school name. Who is your favorite Team or Team Colors to advertise? 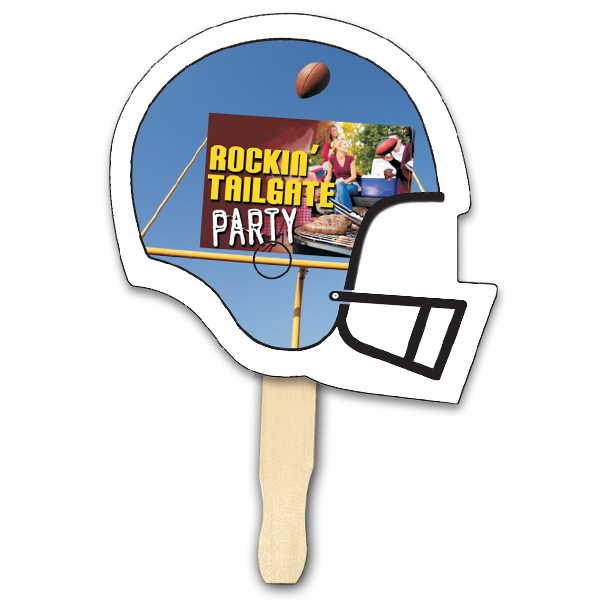 We have some of the coolest custom tailgating products to have at your parties! Check out some of our promotional football items for your tailgating gatherings! You can be the one to giveaway some extra fun at your tailgating tent! AWESOME! Promotional football shaped hand fans for all your friends! Cool off outside while showing of Team Spirit! And it wouldn’t be complete without passing out and tossing around promotional mini footballs these are the coolest footballs going around right now! To top it off, All of the products will have your Team Logo added for FREE! Which color do you love the best? And you’ll want to decorate your tailgating area with as much customized football team spirit items as possible. Choose your colors & make your favorite team with promotional inflatable football helmets. Then taking pictures of everyone in their team colors and jerseys will be even more fun when you have promotional football picture frame magnets for everyone! And you don’t want to forget your munchies and drinks, so make sure you have promotional polar pal can coolers for all your cold drink choices. It’s one of our Best Selling Can Coolers! In every color choice possible to fit any of your team color choices! So now that you have everything to show your team spirit with, you’re ready to get the Tailgating On! GO TEAM! Next postOctober is Adopt-A-Shelter-Dog Month: Hand out Free Pet Products!